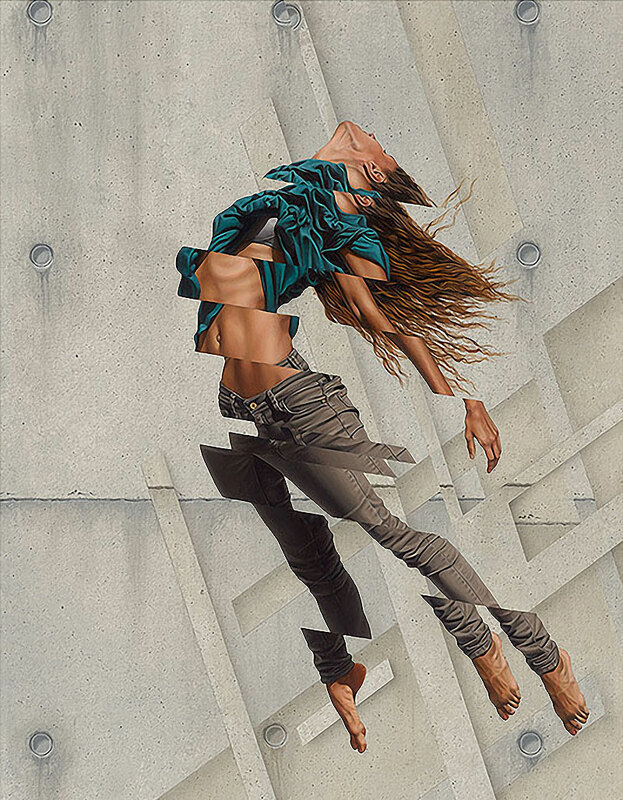 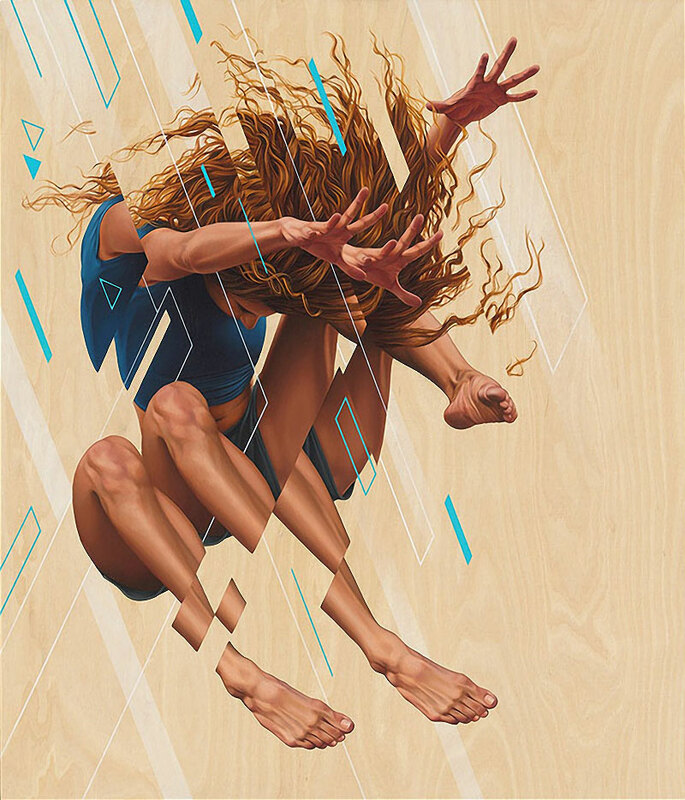 New paintings of levitating, disjointed figures by Berlin-based artist James Bullough. 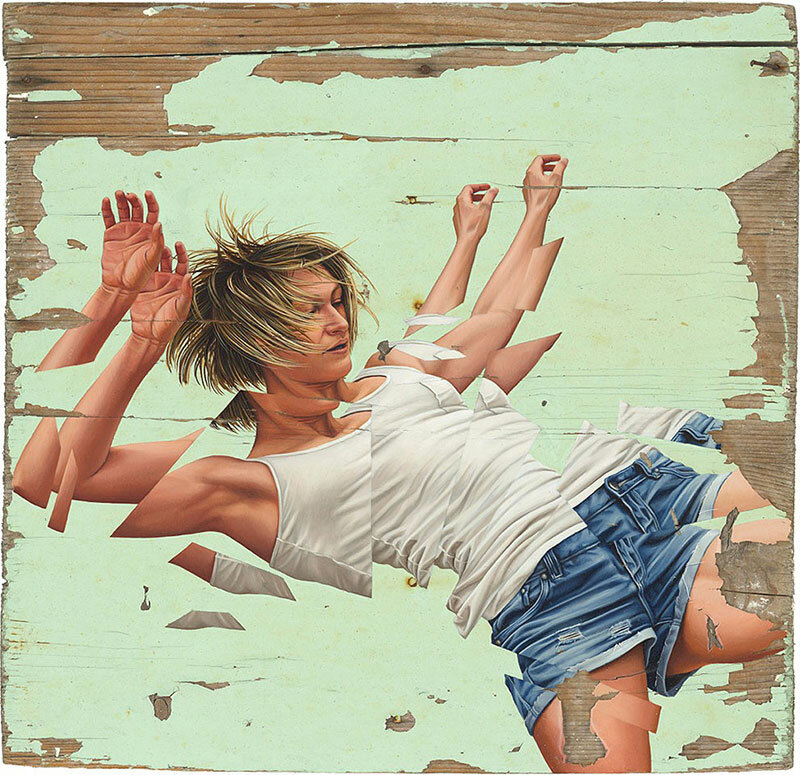 Working with dancers, Bullough asks the models to channel personal memory and to recall experiences of “breaking” then captures their expressive body movements. 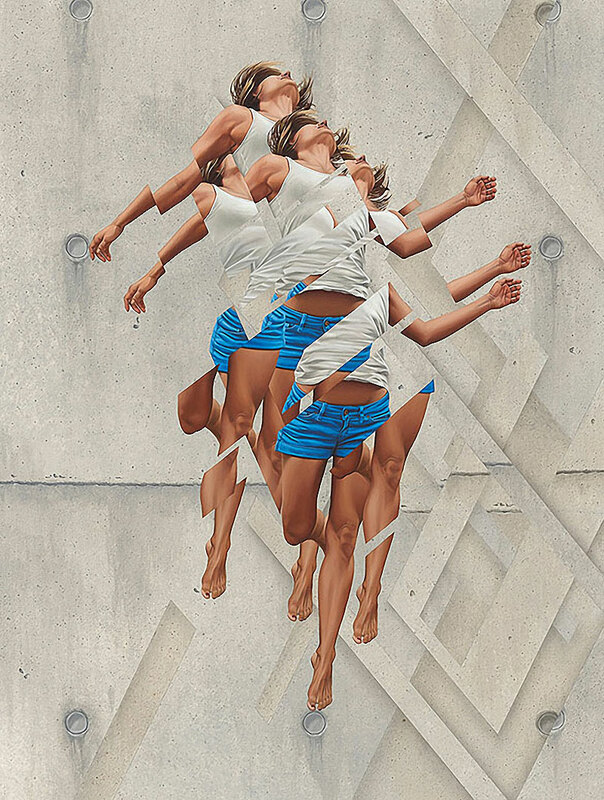 The bodies in motion, arrested in an expense of negative space, are dissembled by splicing, striating, and fragmenting its surfaces and planes. 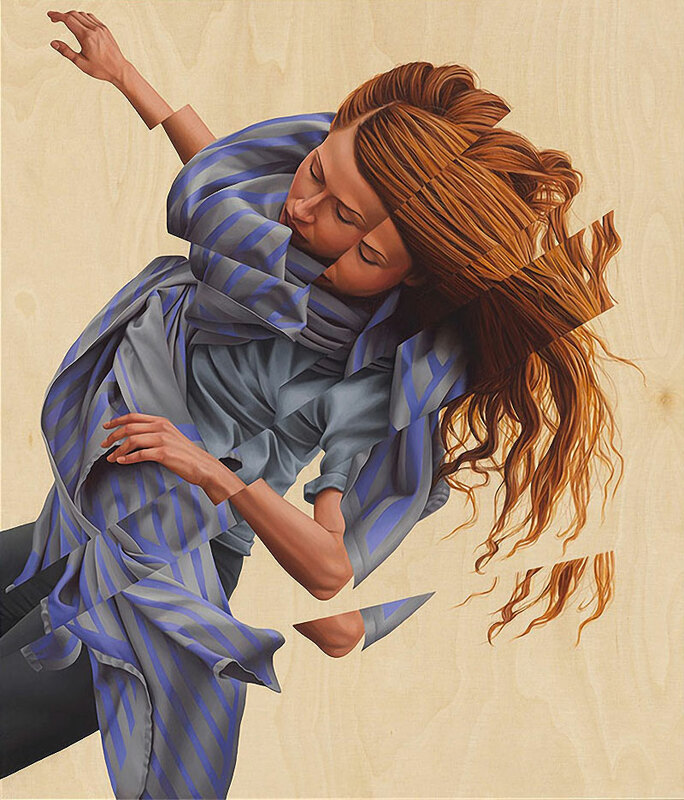 The models remain anonymous and faceless throughout, an omission intended to reaffirm the symbolic universality of the emotive physical gesture. 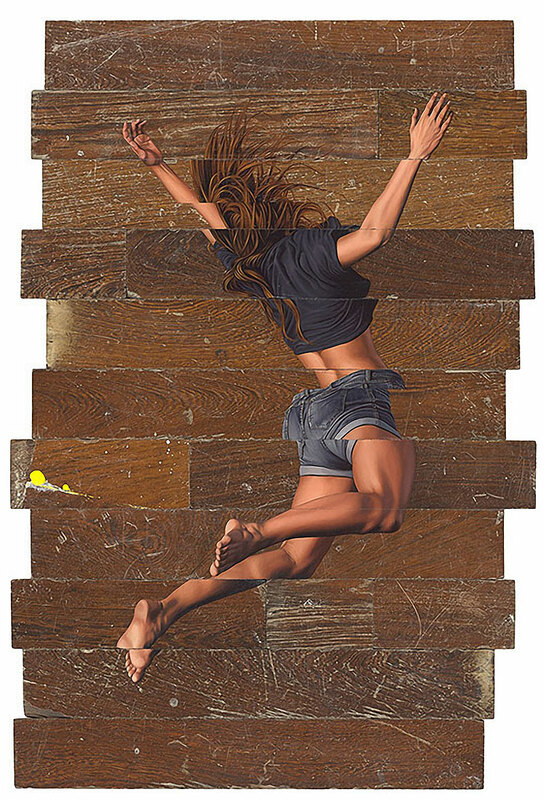 On view at Thinkspace Gallery through June 18. 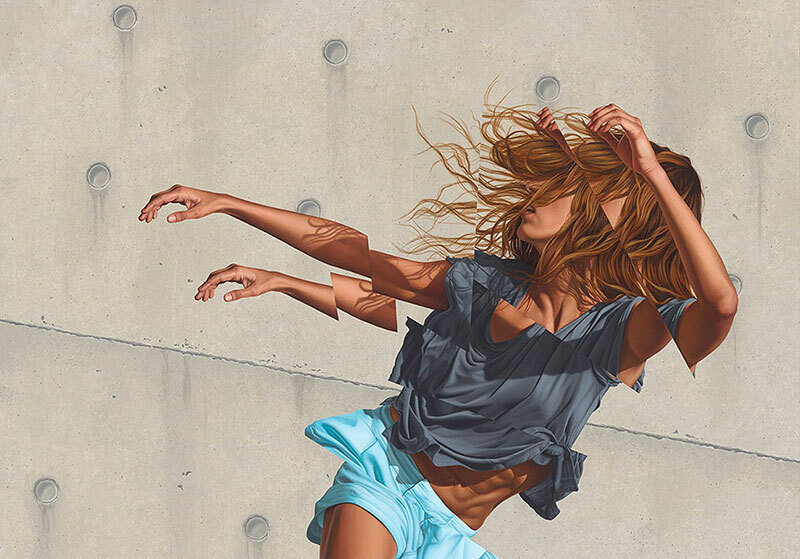 New paintings of levitating, disjointed figures by Berlin-based artist James Bullough.